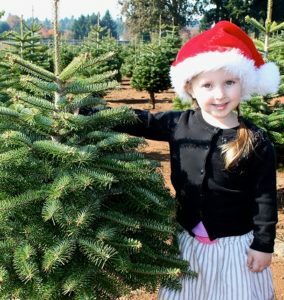 Located in Oregon’s gorgeous Willamette Valley, Premier Christmas Trees is your Christmas tree program partner. With a complete approach to sales and marketing, our consultants specialize in helping you grow your program to even more profitable levels. We provide customized training designed around your specific needs. We also provide expertise for youth fundraisers through complete packages that include training tools, education, support staff, brochures, seminars, buttons, and incentives. Are you ready to help your customers have a great experience choosing and bringing home their Christmas Tree? Those customers are building lifelong memories. Whether or not you help them have a positive experience choosing the right tree will help to define those memories as good or bad. Our training will help you to be better prepared to help build lasting memories of a wonderful experience. Your customers can rest easy knowing that by using a Premier Christmas Tree they are in turn helping us all breathe easier.